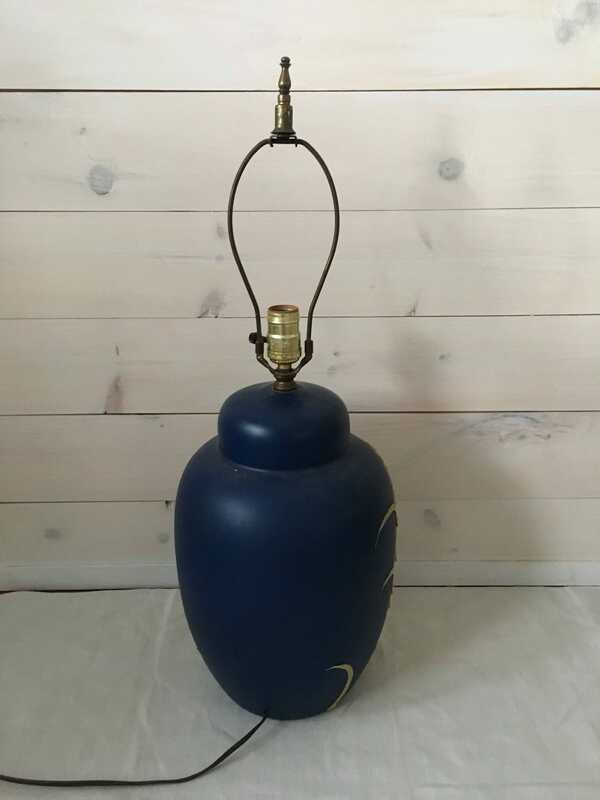 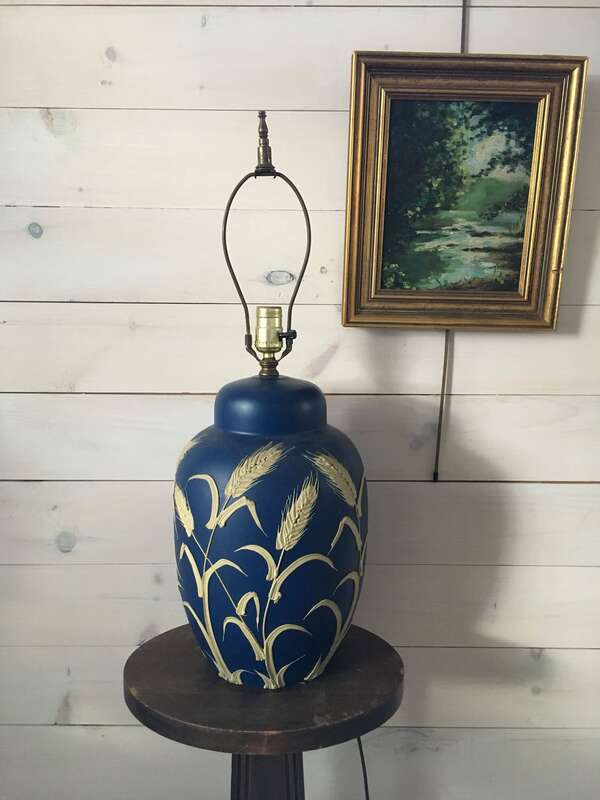 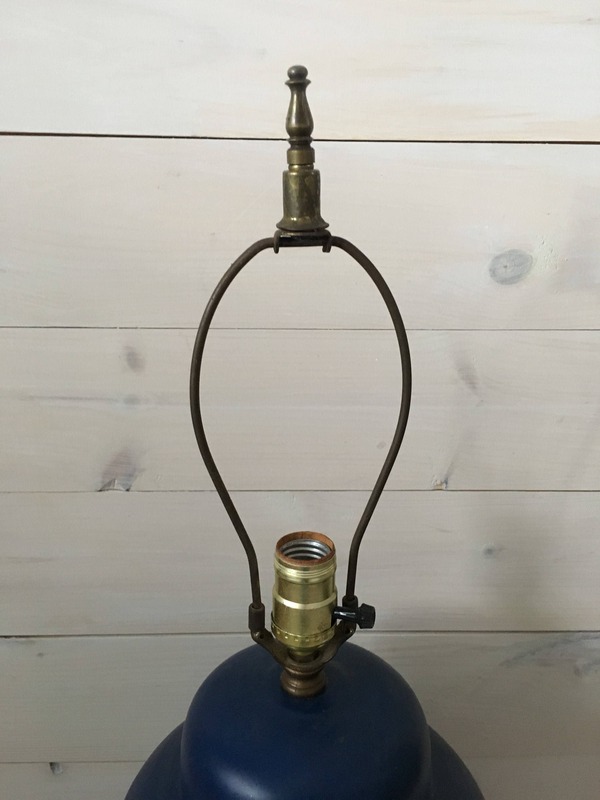 Amazing blue lamp with a unique wheat pattern, ceramic with original working wiring. 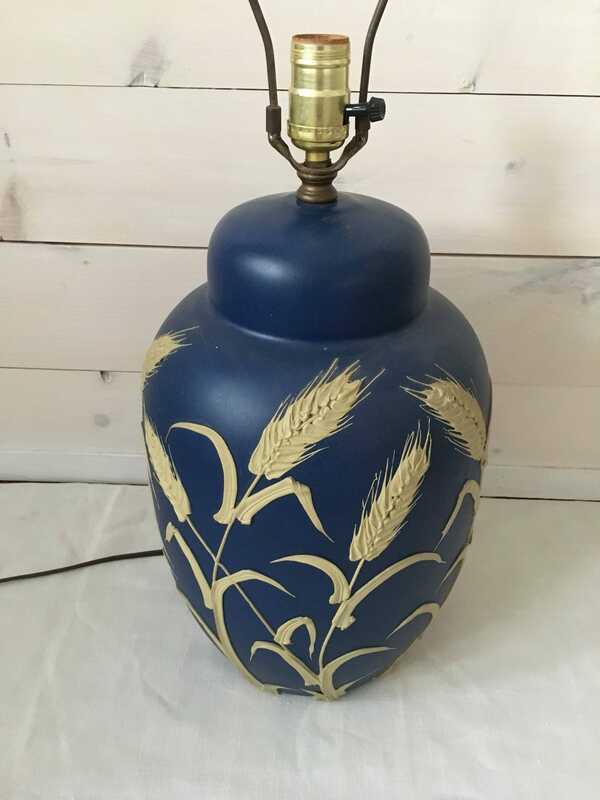 Measures 27” tall including the harp and 10” in diameter. 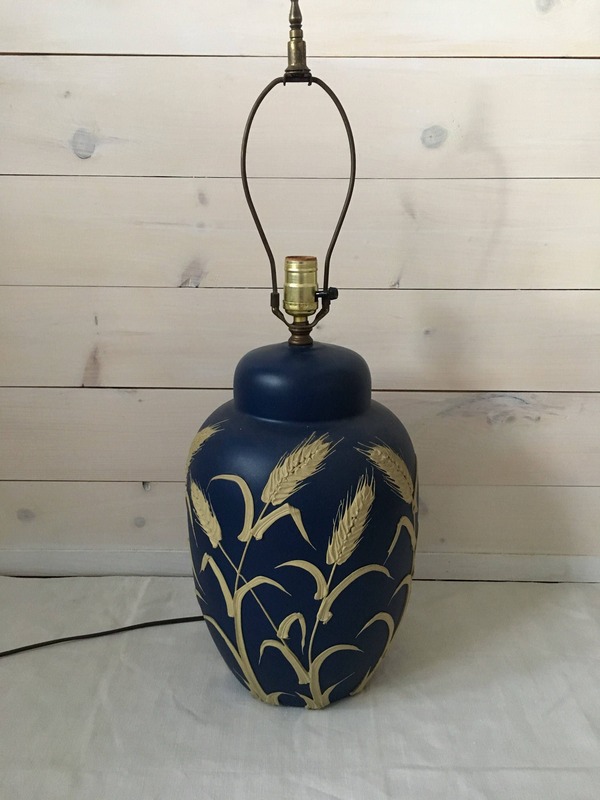 Message me to combine shipping on any items!